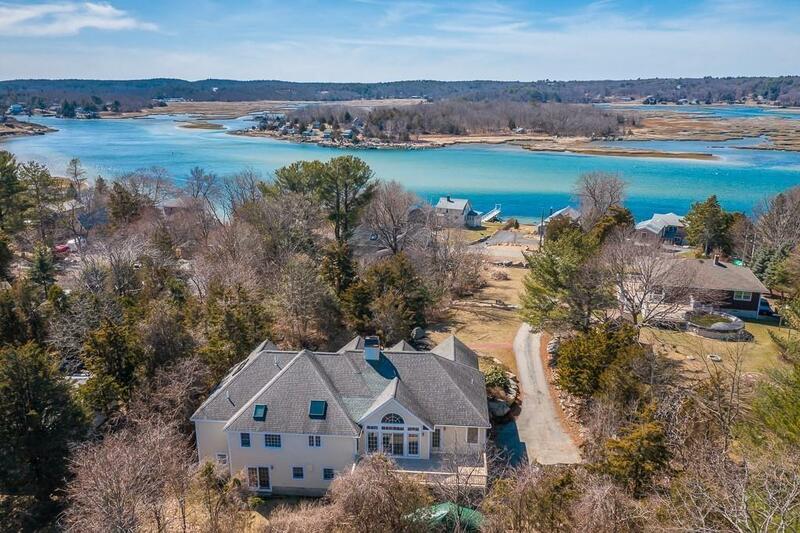 OPEN SUNDAY 4/28 1-3 Custom built contemporary perched high on Thurston Point providing views of the Annisquam River along with nearby boating and swimming access from Corliss Public Landing. 2, 700sf of living space on the main floor allows for single level living with open floor plan and spacious sun-filled rooms. Large family room with cathedral ceiling gas fireplace and French doors which open to a sunny private back deck. Kitchen has large center island with granite countertops, gas cooktop and double wall ovens. Large master bedroom with en-suite and walk-in closet along with two additional bedrooms and bath also on the main floor. Additional unfinished living space on the 2nd floor is suitable for 2 bedrooms and bath or large family room with more views to enjoy. Walk-out basement offers additional finished/heated living space with plumbing in place for future bath if desired along with massive storage area, and two car garage.